But I admit that it was a little wonky looking. Turns out braiding thick, heavy, sticky dough is different than braiding hair. I wish Molly had offered a little more guidance at this point in the recipe but she doesn’t so I will: after patting your dough into a 3″ x 12″ rectangle and cutting into three long pieces and rolling those into ropes, try to keep them at their original 12″ length. If that doesn’t work you will still have an amazing challah and once you slice it who’s gonna know? 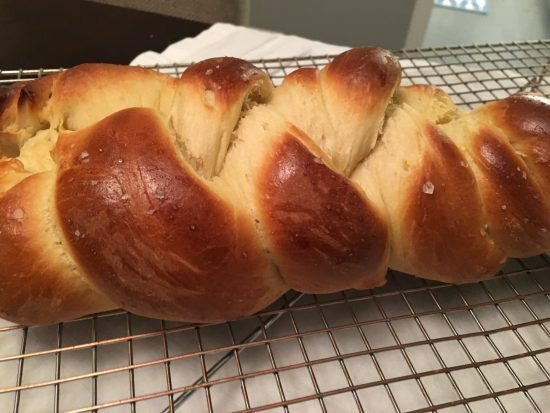 Molly’s Basic Challah makes enough for two loaves which is thoughtful because it will allow you to make one of her variations, including Pimiento Cheese Babka, Seeduction Challah and Scallion Pancake Challah. And Za’atar Monkey Bread. Traditional Monkey Bread is a sweet dough, portioned off into little balls, dipped in melted butter and rolled in cinnamon sugar, caramel, or some other form of yumminess, then all thrown into one pan and baked. It ends up tasting like donuts without the mess and effort of deep-frying. 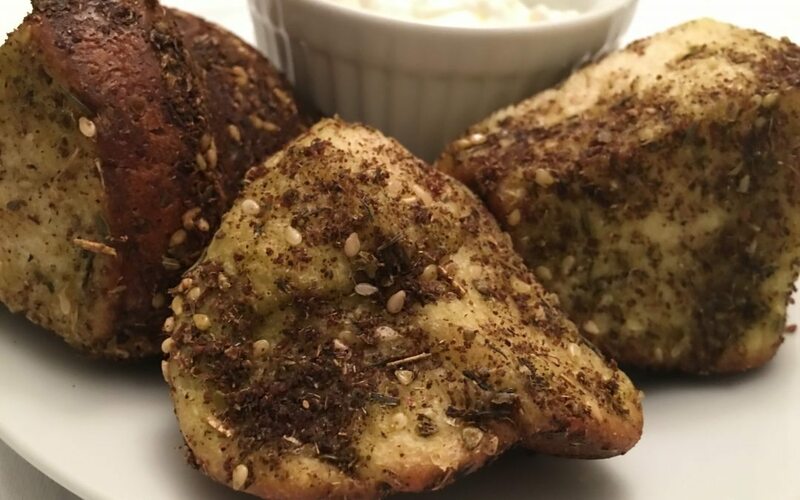 In this savory interpretation the dough balls are dipped in butter and then za’atar, a Middle Eastern spice blend comprised of some or all of the following: oregano, thyme, sumac, sesame seeds and cumin. Not only can you make monkey bread with it but you can dip pita into olive oil then za’atar, sprinkle it on your yogurt, and probably a million other things. If you can’t find it at the grocery store you can easily make it yourself. And Molly allows, nay encourages you, to use store-bought bread dough in this recipe if you are short on time or lacking confidence. With both recipes I found the cooking time to be a bit long so start checking your internal temps a couple of minutes before she recommends.